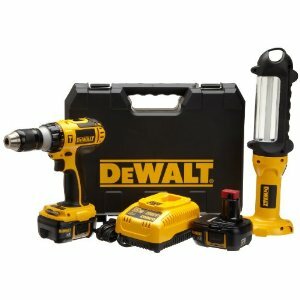 DEWALT DCD775KL-F 18-Volt Lithium-Ion Hammer-Drill and Area Light Combo Kit is just$169.99 for the next few hours. (List $500). It is a limited time Gold box offer. You will need to click “See Gold box Price” on the right hand area of your screen. Valid through 1 p.m. ET only.